Do you keep a Pinterest board or some other master list of quilts you might like to make someday? I’m not really an avid pinner, but I do find it a useful tool. Sometimes I start a project by perusing things I’ve saved over the years to see what excites me. That’s how I happened upon this flowering snowball quilt from my Pinterest made by Nifty Quilts. Curves really can be fun to sew, once you have built your skills, but they do rely on accurate cutting. Using acrylic templates instead of paper ones helps me with accuracy. 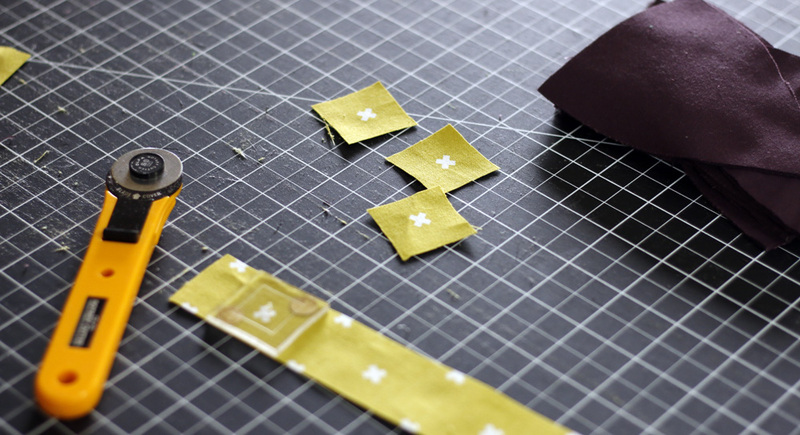 Plus, with acrylic templates I can cut layers of fabric confidently and quickly. A bit of searching led me to Baycreek Quilting Products. They have a large selection of specialty quilting rulers. I was able to select my ideal size for this quilt - a 9” flowering snowball block. I thought a 12” block would be too big, not looking as patchy as I wanted. The 6” block options might take forever! You can see I added sandpaper sticky dots to the backs of the templates. These help steady the rulers while cutting. Especially when cutting tiny, curved shapes, shifting can be a big problem. The “fabric grips” dots worked great. As an added bonus, the clear acrylic rulers made it easy to fussy cut this smallest pattern piece. That’s Cotton & Steel XOXO in shag carpet. It will punctuate the patchwork with a nice, bright pop of color. So, tada - flowering snowball blocks! Yay! What, is this not what you were expecting? Haha. Yes, I substituted the more traditional low volume background for a dark raisin color. Remember that when I created my fabric pull I included a black fabric for contrast? I wanted the bright, multicolor prints to really stand out. This dark raisin color feels more charming than black, especially with the citrine yellow XOXO fabric. That’s a good start! 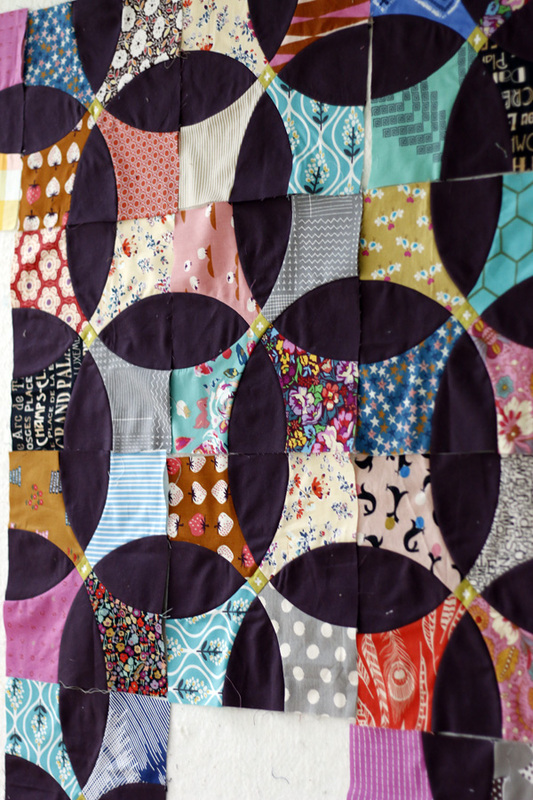 More curved, colorful piecing coming up soon. Hmmm… and I’m already wondering how I shall quilt it.